We believe that one of our most important assets is our production process. By following a tested process, we're confident that the project objectives will be achieved. The key is the collaboration and a good understanding of your business and its strengths. We follow this general process for all video projects, so that we most accurately communicate your messages. We sit down with you initially to get to know your business or project. And we ask a lot of questions. We've found that this is the best way to understand your business, your industry, your position, and your project objectives. Further, we want to understand your values and/or company culture. No matter what the medium, people still buy based upon relationships. So we find that by understanding your business, we're better able to tell your story and the value you bring...no matter if that's a general presentation video, testimonial, case study, or other. We also want to learn more. So we'll do some online research of our own. Depending upon the project, we may also conduct interviews with leaders, customers, and employees to gain a strong, research-driven understanding of your position and strengths. Through collaboration, we develop the objectives, vision and creative for the project. Once the objectives and creative are determined, we develop a production plan to implement it. This includes a production outline, calendar with schedule, and any storyboarding or scripting. The production schedule includes set location, necessary equipment, production/shooting day(s), editing day(s), delivery target, and delivery formats. The production outline and calendar is developed to best integrate with your organization's resources. Lights, camera, action! This is the fun part. Using our state-of-the-art cameras, lighting, sound equipment, drones and/or more, we capture you and your organization's messaging in a dramatic, moving way. We pride ourselves in shooting those filmed in their absolute best light. And we make sure to complete everything mapped out in the production plan. This is where we really shine. After getting the shots, we cut them up, then bring them all together. 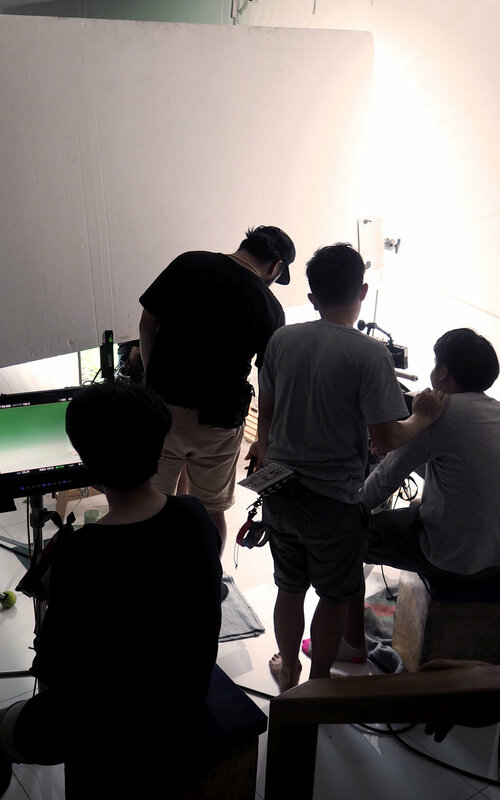 When music, motion graphics, and special effects are added, the effect is special. And your audience is moved. We deliver the initial production to you for review. You may have some change requests, which is great. We're not going to stop our work until you're satisfied. Once you are satisfied, we will deliver the videos in the formats mapped out in the production plan. Unless positioned and presented to your prospects and clients correctly, you may not get many views. So we can also help you position and present them. We are familiar with the different platforms and tagging. We can lay out specific digital market strategies and action items to make sure the video(s) are seen and accomplish the objectives. Timeline: For the entire process above, we estimate 3-5 weeks. For something more limited (eg. production and post-production with less strategic involvement), we estimate 2-3 weeks. Give us a call to discuss your next video campaign.